VideoCentric’s award-winning maintenance service supports and protects your investment in video conferencing & visual communications. Our full end-to-end support and seven levels of maintenance services managed by our in-house technical experts ensure optimal performance, investment protection, improved usage and peace of mind throughout your organisation. Download VideoCentric’s Maintenance & Support Brochure here. Already have Maintenance & Support with us? Find out how to contact us here. Unlike most other UK resellers, who only offer manufacturer managed services, VideoCentric recognize customer requirements for flexibility, speed of response & replacement, personal & direct communication, and quality & competence of the support team. We aim to enable you to ensure the highest performance possible from your investment, and help you reduce downtime in your organisation. 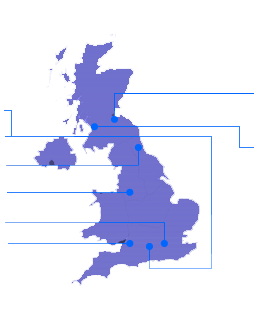 To find out more information about VideoCentric’s maintenance & support packages for Video Conferencing solutions in the UK, contact us now. VideoCentric is proud to support its own customers with a rare in-house technical team, recognised as the most experienced video conferencing support team in the UK. With a variety of support packages tailored to suit the needs of each customer, and with engineers who are experienced and fully accredited with all the major manufacturers, VideoCentric can make sure you get the best from your video solution, now and into the future. VideoCentric pride ourselves on our expert level of support, and even hold spares, parts and even replica systems so swap-outs and replacements are managed efficiently, from the UK, by a team you know and trust.